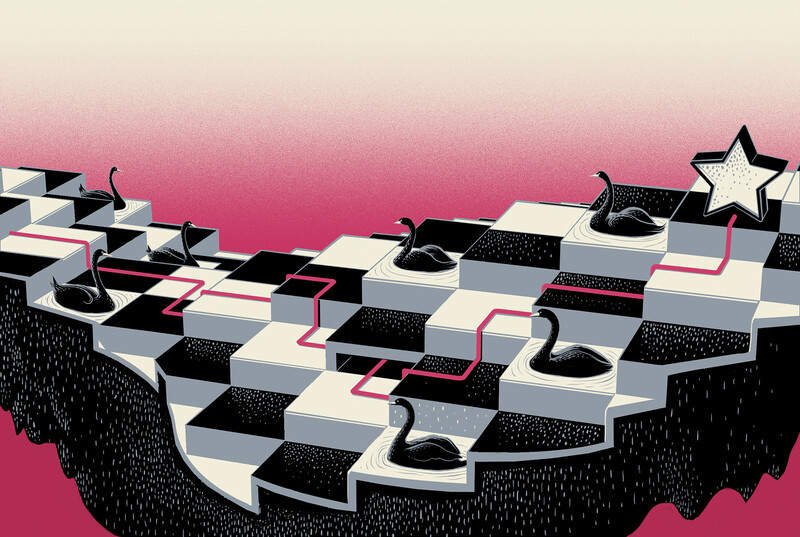 Series of Illustrations for Economia Magazine for feature about predicting so called Black Swan events. Usually catastrophic unexpected events that dramatically affect the global economy. 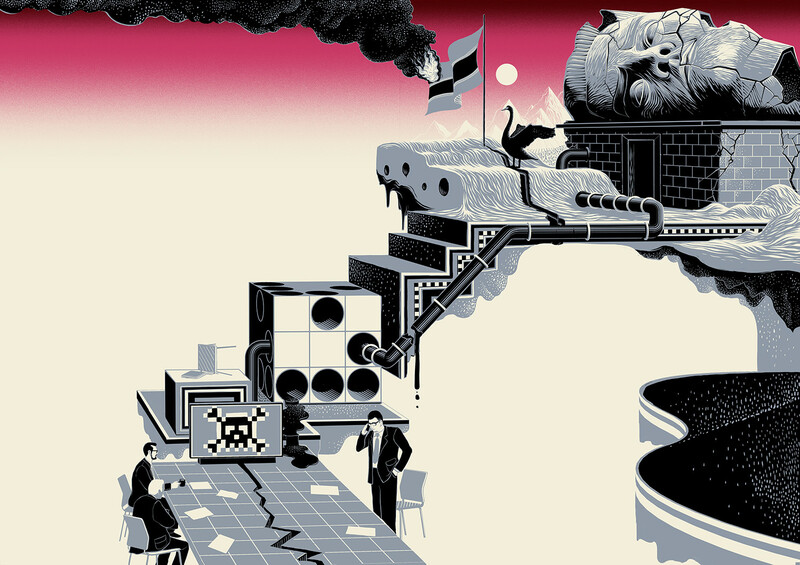 This is a series of illustrations commissioned by Economia Magazine for a feature about so called Black Swan Events. 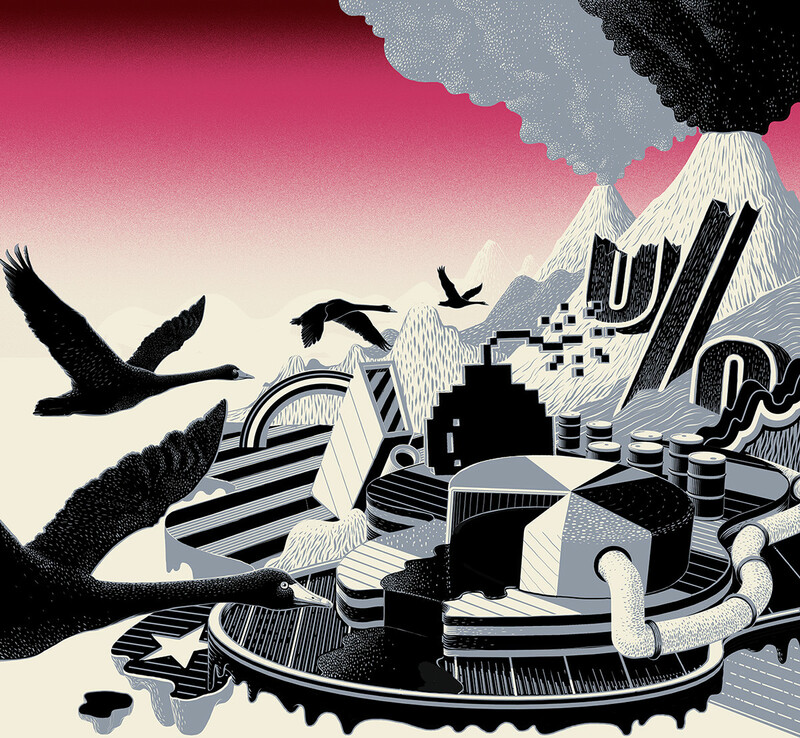 Catastrophic events such as volcanic eruptions halting air travel to regime change in oil rich nations that can have dramatic consequences for the world's economies. The story was about how some analysts are trying to pre-empt these occurences and theorize possible solutions.